With the fall of the investment bank Lehman Brothers in the late summer of 2008, many have predicted major reforms to reign in the hazardous behaviour of financial institutions. Nonetheless, up until very recently, little has happened. In early 2010, serious proposals for stricter oversight were tabled for the first time. US President Barack Obama has proposed the most encompassing reform of the banking system - to prohibit bank holding companies from engaging in proprietary trading. This will allow them to purchase and sell stocks or derivatives only in the name of their clients. The purpose of the Volcker Rule, which Obama named after one of its strongest proponents, the former Federal Reserve chairman Paul Volcker, is to prevent banks (and possibly also the largest other financial institutions) as the central actors within the financial world to bring down the whole system through risky speculations. Does Obama’s proposal mark a change of course in favour of a more reasonable capitalism? The name alone casts doubts on the prospects of a much circumscribed financial sector. Volcker was the architect of the monetarist turn in central banking in the late 1970s, ushering in the period of neoliberalism. In the following, I will argue that the crisis alone will not lead to more labour friendly policies. 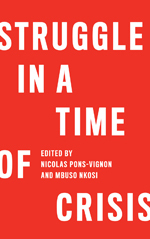 Crises are not only part of capitalism, they are also, as Karl Marx has pointed out, moments of capitalist reinvigoration. Crises delegitimise capitalists, but they also weaken their potential counter forces, especially, organised labour. Marx would not have been too surprised about the course of the crisis so far. According to him, the destruction of capital is the main precondition for a new cycle of capital accumulation. The profits of the surviving capital will rise. In addition, the crisis speeds up innovation and leads to a higher degree of capital centralisation as competitors are eliminated. More centralisation promises higher profits because of increased economies of scale and market power. This theoretically stated mechanism of overcoming capitalist crisis seems to be empirically substantiated in the current crisis. By turning away from the New Deal banking regulations, the US experienced a rapid increase in bank concentration even before the crisis. This trend has continued. In 1995, the top five banks had 11% deposit share. Their share increased to 29% in 2004 and jumped to 38,6 % in 2009 (Celent 2009). In the already highly concentrated banking market of Germany only two of the five biggest private banks in 2006 survived in 2009. However, the crisis also brought forward new competition - mainly from the Far East. The competition, therefore, has reached a higher level. At the same time, the reputation of financial institutions has suffered badly. US tax payers, in particular, have vented their anger at highly paid bonuses for those who effectively brought about the crisis. Will this spontaneous outrage lead to collective action? And if it does, what kind of action will follow? History informs us that the middle and working classes do not always direct their anger in dire economic times against the rich. They have also turned against members of their own class, and especially against poorer classes. In fact, electorally, many voters have turned conservative in Europe since the outbreak of the crisis. While the election of Obama seems to contradict this trend, we are now witnessing the rise of a paranoid right in the US. The newly emerging “Tea Party Movement” turns its wrath against the federal government and Obama’s slightly progressive policy proposals. They reckon Washington has been captured by a finance-led cosmopolitan conspiracy. In his Global Labour Column, Gregory Albo vividly described the onslaught of capital on workers in North America. In order to understand the current weakness of labour, it might be helpful to look at the sources of worker power on a more abstract level. For the sake of simplification, four sources of power can be identified: market, associational, institutional, and discursive power. The crisis undermines the market power of workers by letting demand for labour shrink. This also has an impact on its associational power. The export industries, the fortresses of organised labour in many countries, have suffered in the current crisis in particular. The well organised and well paid workers in the heavily impacted automobile industry are currently preoccupied by defensive struggles to keep “their” factories running. To a certain extent, their defence comes at the expense of the tax payers and the so-called temporary workers, who have been dismissed in great numbers and without compensation (Brehmer/Seifert 2009). If workers relied solely on market and associational power, the fate of the majority of them would be left to the vagaries of the business cycle. On the basis of institutional power, they can secure their right to collective bargaining even during times of crisis. Their institutional power rests on their past organisational and political successes. The successes of US unions date back to an almost distant past and they command little institutional power at present. While they contributed to Obama’s electoral success and the Democratic majority in Congress by mobilising their members in large numbers, they failed to secure the support of the Democrats for their own top legislative priority, better legal protection for organising (Greenhouse 2009). Furthermore, organised labour usually lacks access to economic policymaking even when traditionally labour-friendly parties are in government. Leading representatives of such parties have supported the neo-liberal agenda of the pre-crisis period. The financial centres of the US have voted Democrats into office ever since 1992. Even in 2006, hedge funds supported Democrats by a margin of 3:1 over Republicans. It therefore came as no surprise that the democratic senators Charles Schumer and Chris Dodd defended finance capital during the crisis (Phillips 2008). The German Social Democratic finance ministers in recent times, Hans Eichel and Peer Steinbrück, actively supported the liberalisation of financial markets in the period before the crisis (Kellermann 2005). Thus, workers’ organisations are left mainly with discursive power. Discursive power can be defined as the ability to convince others of one’s own arguments. The crisis has delegitimised finance capital and its economic paradigm, neo-liberalism, and therefore opens up space for alternatives. However, scandalising the crisis is not sufficient for real change. A clear alternative to the status-quo must be developed. Nevertheless, as yet, there has been little room for optimism. It has become popular to point to the Great Depression as an example of the possibilities of changing course in the direction of a “good capitalism” (Dullien et al. 2009). What this analogy overlooks is that the shift towards welfare capitalism was not without alternatives (facism and communism) and that it took World War II to decide which alternative to liberal capitalism would succeed. The parallel with the current situation is also flawed for other reasons. For one, learning from the Great Depression, today’s policymakers have acted against a deepening of the recession. The outcome so far is that the extent of the crisis and the level of social desperation cannot be compared to the 1930s in developed capitalist societies. Furthermore, it was precisely the existence of these alternatives to liberal capitalism that have led to its modification. Some social compromise was seen as the best defense of the private property order next to military might. These or other fundamental alternatives to liberalism are not currently in sight. Change of course in the fourth year of the crisis? President Obama’s push for banking regulation is widely seen as a reaction to the increasing resentment among the US population about his closeness to Wall Street. His regulation proposal came on the heel of the election of a Republican candidate to succeed the deceased Democrat Edward Kennedy. Is a change of course therefore possible without a resurgent organised labour? Is the diffuse anger of the electorate sufficient? It is probably not. For one, it was not a socialist who became heir to Kennedy’s senate seat, but a proponent of free markets. In addition, Obama’s proposal sounds a lot more radical than it is in reality. The prohibition of proprietary trading does not limit speculation in general; it only restricts the financial dealings of one group - the banks. Private investors would still be able to use hedge funds for risky deals with derivatives. They would still be allowed to take over companies for the purpose of selling them to other investors on the stock market after having them restructured, i.e. after having dismissed a significant part of their work force. There would also be no limit for them to take on debt. Speculation with borrowed money drives bubbles and aggravates their subsequent implosion. Thus, Obama’s proposal turns out to be a rather limited circumscription of the moneyed classes’ sovereignty. Whether Obama will be able to pass even these timid reforms through Congress remains an open question. And as for the German conservative government, it lags way behind even Obama’s tepid proposals. In other words, we cannot expect the capitalists and their representatives to adopt a more reasonable course. We also have to recognise that the crisis weakens labour. Thus, what is to be done? The situation varies from country to country but in general it is quite obvious that extraordinary efforts are called for. This begins with widespread support for workers who defend themselves against cuts in wages and jobs. Care should be taken that these do not go at the expense of weaker parts of the working class. The move from defensive to offensive strategies requires organised labour to become more political. Together with other social forces it has to develop alternative visions and it has to regain influence in political parties. Celent 2009: Too Big to Bail? Bank Concentration in the Developed World, in: http://www.celent.com/124_2079.htm; 12.10.2009. Dullien, Sebastian/ Herr, Hansjörg / Kellerman, Christian 2009: Der gute Kapitalismus... und was sich dafür nach der Krise ändern müsste, Bielefeld, Transcript. Greenhouse, Steven 2009: Democrats Cut Labor Provision Unions Sought, in: The New York Times, 17.07.2009, A1. Kellermann, Christian 2005: Disentangling Deutschland AG, in: Beck, Stefan/Klobes, Frank/Scherrer, Christoph (Hrsg. ): Surviving Globalization? Perspectives for the German Economic Model, Dordrecht, 111-132. Phillips, Kevin 2008: Bad Money, New York, NY. Christoph Scherrer is Professor for Globalization and Politics at University of Kassel, Germany. He is also executive director of the International Center for Development and Decent Work and a member of the steering committee of the Global Labour University. I am not a keen Marx reader but the article was clearly explained in a manner how capitalist make opportunist stance in a crisis. Though it should also be explain how workers should subsequently counter-react in order to achieve a labor-friendly environment in times of great crisis.